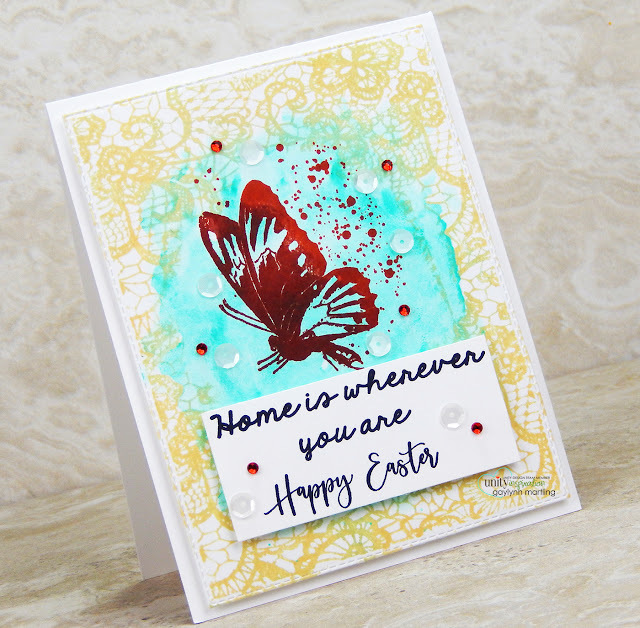 Neat Nook Creations: Lace background watercolor butterfly card with stamping. Lace background watercolor butterfly card with stamping. 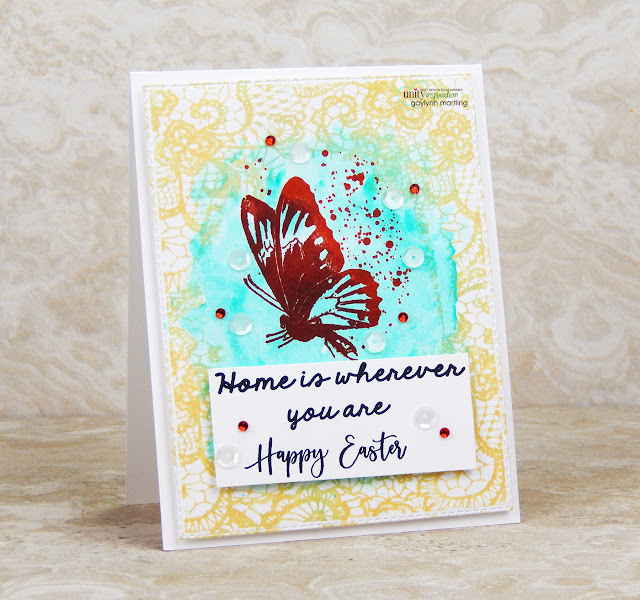 For Watercolor Wednesday, I am sharing a card with both stamping and a watercolor background in a mixed media style. Sentiment: Home is wherever you are. Happy Easter. This was stamped in layers and watercolor was added in between. I wanted a mixed media look to this card. I combined the sentiments for use as an Springtime Easter card. Begin by stamping the sentiment onto regular cardstock. Then stamp the background lace onto watercolor paper with waterproof ink. I inked the lace around the background perimeter. Then I placed the watercolor paper on top of the stamp to pick up ink from the lace stamp. Heat set or allow the background to dry. I added water to the panel. Then I added one color of Altenew watercolor. I used several layers of that color and then heat set. Once dry, I stamped the butterfly, using two ink colors and the Mini Misti tool. Ranger archival ink pads used: Sienna, Monarch Orange and Pale Ochre. I layered everything onto the card base and embellished to finish. Supplies: Unity Stamp Co. 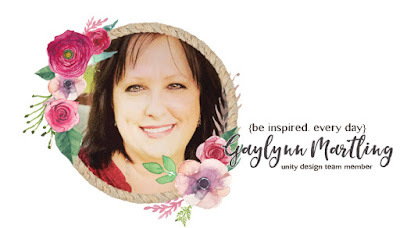 Gather Love and Lace; Mini Misti, Altenew watercolor half pans, Ranger watercolor paper, archival ink, My Creative Time dies, foam tape, heat tool and adhesive gems. I love the techniques you used in this card...that background lace stamp is so pretty!